Have you seen this incredible tool. Microsoft hit a home run with this little gem. 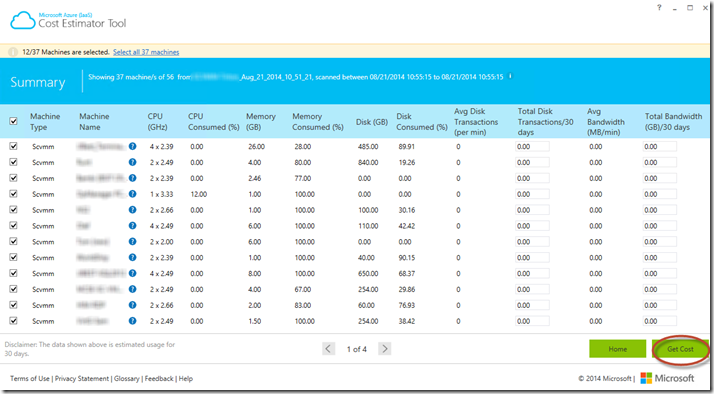 The Azure Cost Estimator Tool will allow you to scan a machine, a virtualization host or even an entire Virtual Machine Manager Network. 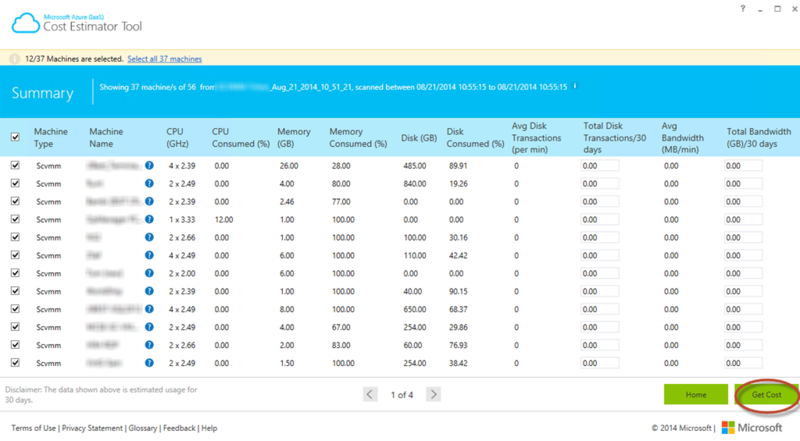 The Azure (IaaS) Cost Estimator has been designed keeping in mind the need to provide the IT manager of next generation organizations the ability to quickly assess running cost of the existing on-premises workload on Azure. It is not just for on-premises though. If you have hosted servers or servers running on other cloud platforms like AWS, run a scan to see what you can save by moving them to Azure. Click a “Get Cost” button and another feat of software magic happens. It then takes that information, checks the prices on Azure (US) and calculates what the cost of each component on each workload.